Dr Sarah Lantz is a health writer, researcher, presenter, nutritionist, and all-round chemical conscious nut. She grew up on a farm where family holidays were scheduled around the timing of tree-ripened fruit. Rare was an evening when her family were not slicing, stewing, roasting, fermenting and drying apples, cherries and tomatoes – often all at the same time. From these humble beginnings stemmed a passion for understanding the workings of everyday consumer life and its impact on the human body. Sarah has a background in public and population health, nutrition, and specialises in the area of child and youth health and wellbeing. She was awarded her PhD from the University of Melbourne, Australian Youth Research Centre and in recent years has worked as Research Fellow and Lecturer at a number of prestigious Universities across Australia, including the University of Melbourne, the University of Queensland and Queensland University of Technology. Sarah undertook her post-doctoral research fellowship in 2012 and was awarded a prestigious research grant from the Sydney University. She is a regular columnist for many health and wellness magazines and is a frequent commentator in the media. 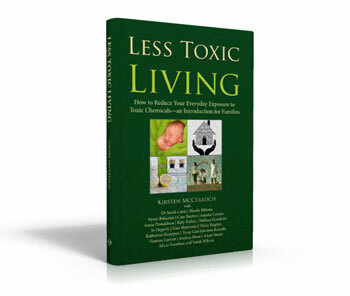 Her first book released in 2009 Chemical Free Kids: Raising Healthy Children in a Toxic World, is a bestselling publication, and has gone into its third re-print. She is currently working on her second book to be published in 2014. She is a pioneer of the innovative Organic Farm Share and the Director of Buchi Kombucha, a growing enterprise dedicated to bringing locally brewed organic fermented foods and beverages to families. Sarah presents regular workshops across Australia in areas of reducing toxicity of the body, health policy and building resiliency, with a particular focus on gut health. Sarah currently lives on a property on the outskirts of Brisbane with her partner and two free-range girls. Find Sarah at www.chemicalfreeparenting.com or www.buchikombucha.com.